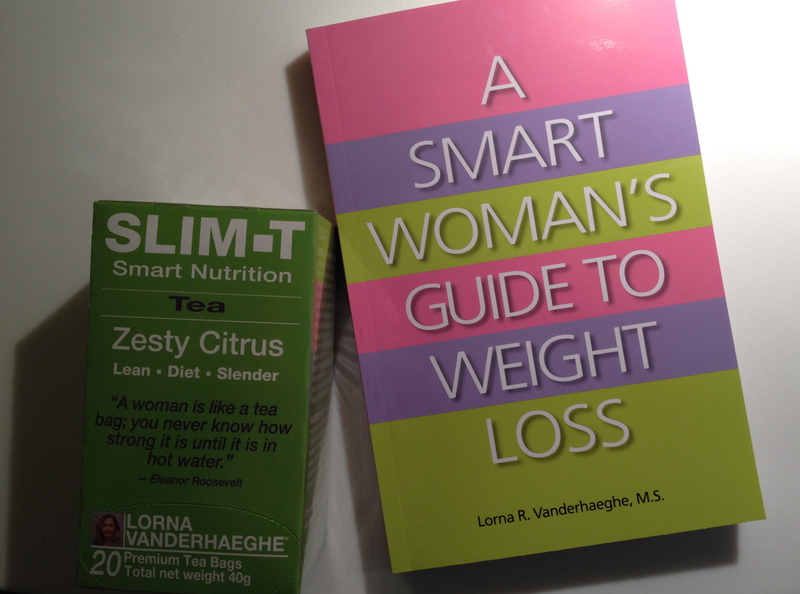 Review: 3 More Great Prize Packages from Lorna Vanderhaeghe and Hormone Help! This week, we introduce you to Lorna Vanderhaeghe and the health products and books she has formulated based on her extensive experience in the health field. This is a great book that focuses more on lifestyle change rather than crash diets. It provides an understanding of the basic factors that contribute to healthy weight such as nutrition, fitness and lifestyle factors. In particular, the book “makes sense of nutrition and the hormones of obesity.” (p. 3) It provides good tips on nutrition, exercise, supplements, and natural remedies. Complementing the book in Prize Pack #1 is SLIM-T, which is a tea with a complete formula to help curb appetite, increase metabolism, and improve digestion. As a ‘must-have’ for women, it is a very informative and detailed book on many health conditions related to women, such as hormonal acne, anemia, breast cancer, candida, endometriosis, menstrual abnormalities, ovarian cysts, ovarian cancer, osteoporosis, thyroid, and varicose veins. With each health condition, Lorna provides the symptoms, causes, prescription for health, and health tips to enhance healing. 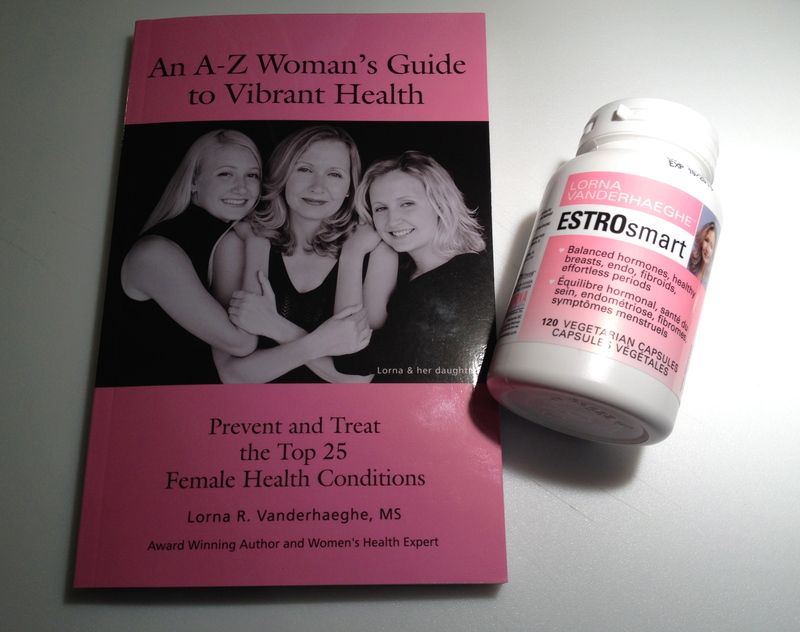 Complementing the book in Prize Pack #2 is EstroSmart, a hormone-balancing formula for reducing symptoms of menstruation, menopause and hormone related problems. It can also help with acne (even for teenage boys and men). Many of us do not eat the minimum recommended servings of fruits and vegetables a day and our stress-filled, indulgent lifestyles can deplete our bodies of nutrients. These multivitamins are formulated to provide a complete nutritional program of vitamins and minerals to create a strong foundation for good health. 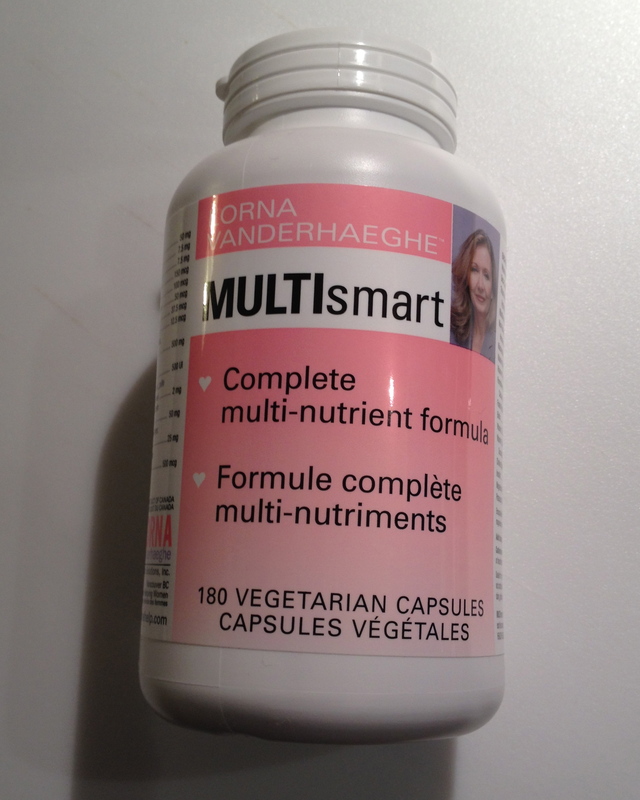 Lorna Vanderhaeghe, MS, is a women’s natural health expert and has been researching nutritional medicine for over 30 years. With degrees in nutrition and biochemistry, she is the author of twelve books including her most recent Beautiful Skin Begins Within (coming mid April 2014), A Smart Woman’s Guide to Hormones and A Smart Woman’s Guide to Weight Loss. She is also an internationally known lecturer who educates people on how to combine the best of mainstream medicine with scientifically backed nutrients and diet changes to achieve optimal wellness. She has a free monthly newsletter and her website – www.hormonehelp.com – has over 4,000 pages of helpful nutrition information along with FREE books. Although Lorna’s focus tends to be on hormone health and in particular women’s issues, many of her products are also suitable for men and children. Based on Lorna’s extensive experience, Hormone Help has developed its own brand of products which are available across Canada in various natural product stores and from online retailers. In the US, many of the products are available through Amazon. Want to win one of these prize packs? This entry was posted in Contests, Product Reviews and tagged books, contest, health, Hormone Help, hormones, Lorna Vanderhaeghe, women health issues. Bookmark the permalink. 2 Responses to Review: 3 More Great Prize Packages from Lorna Vanderhaeghe and Hormone Help!